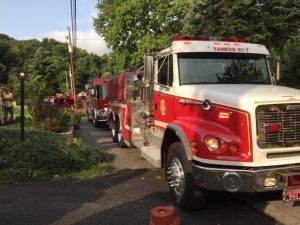 HARRISBURG, Pa. – A new report warns of a crisis in Pennsylvania’s fire and rescue services, saying the number of volunteers continues to fall amid funding needs and training challenges. The 95-page legislative study released on Wednesday says there were about 300,000 volunteer firefighters in the state in the 1970s, a number that’s fallen to about 38,000. The study was commissioned last year by the Legislature. Participants say the next step is to push lawmakers to adopt its recommendations.